The Silent Generation…they were born between 1925 and 1945 and represent our aging population. According to a study done by the National Association of REALTORS®, they make up about 10 percent—the smallest segment—of the nation’s homebuyers and 16 percent of home sellers. But don’t be fooled, they still have significant buying power. With a median age of 73, the Silent Generation consists of mostly retirees or those approaching retirement. As a result, their median household income is lower than other market segments. However, more than 30 percent have a household income of $85,000 or greater. What are they buying? In general, they are downsizing, preferring a home with 1,800 square feet, three bedrooms and two baths. Nearly 20 percent purchased multigenerational homes although the overwhelming majority—97 percent—have no children living in the home. Almost 20 percent are single females and 65 percent are married. Multigenerational designs may be appealing for when family or grandchildren come to visit or times when a live-in caregiver is needed. When moving to their new residence, 80 percent came from another home they owned while only 14 percent were renting. As they age, they are less likely to purchase a home in foreclosure. The median home price for those in the Silent Generation was $190,100, which is second lowest only to Millennials who tend to be first-time buyers. Multifamily homes—townhomes, rowhomes, duplexes, condos and apartments—were chosen more by older owners than any other segment. At 64 percent, the Silent Generation has the lowest single-family home purchases. That’s 20 percentage points lower than Gen X. They also averaged about 20 percentage points lower in purchasing homes in suburbs or subdivisions than their 35- to 49-year-old counterparts with 23 percent choosing small towns and six percent choosing resort or recreational areas. Why are they moving? 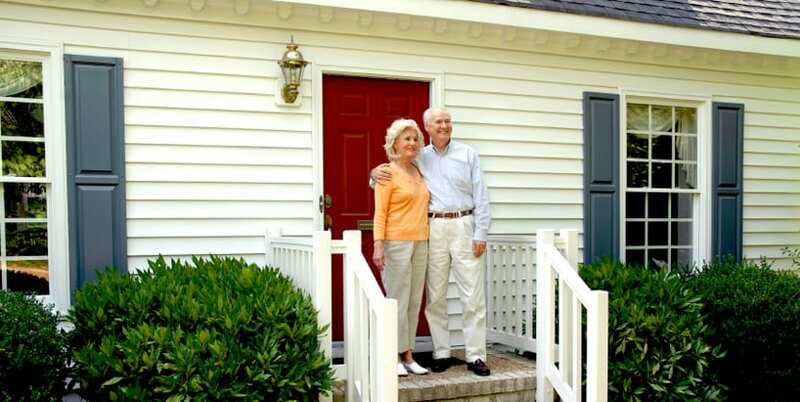 Cost savings was mentioned by 30 percent of the Silent Generation homebuyers. Just over 20 percent said they needed to purchase when they did and 42 percent said now was the right time. The Silent Generation want to live near family and friends. In fact, more than half of those surveyed said it played an important role in their decision on where to move. The median distance from the old to new house was 20 miles, compared to 30 miles for older boomers and 10 miles for Millennials. Not surprising, being near health care ranked high, more than any other segment, as did living close to shopping. New vs. used. Like other segments, 82 percent of the Silent Generation purchased previously owned homes. Why? 28 percent said better price and 39 percent said better value. This group is least likely to move because of the charm or character of a home. Nearly half of the respondents said they made no compromises when selecting their home. The biggest reason for buying new was to avoid renovations or problems, according to 35 percent of those surveyed. Amenities within the community were also important, scoring with 24 percent of homebuyers. The ability to customize was less important to the Silent Generation than other age groups but green building or energy efficiency was more important. About 40 percent said heating and cooling costs were important to them while energy-efficient appliances and lighting also ranked high. Approximately 60 percent “don’t know” how long they plan to stay in their newest home. Many view this as their final home, with 44 percent saying they are never moving again—they found their forever home. How did they find their home? Although looking online, the Silent Generation is most likely to contact a real estate agent as the first step in the home shopping process. They also spend less time online than their younger counterparts. 46 percent used the Internet frequently and 18 percent occasionally. Of those who searched online, 67 percent then drove by or viewed a home, 59 percent waked through a home and 36 percent sought out the agent listed for that home. When using a website, the Silent Generation likes to look at photos and get detailed information on properties. Almost half want real estate agent contact information, too. During their search, 32 percent looked online first, 28 percent contacted a real estate agent and 10 percent drove around the neighborhood. Only 65 percent used an online search website compared to 94 percent of Millennials. However, 20 percent did visit a builder website, which is slightly higher than average. Mobile and tablet usage was low, too. On the flip side, 50 percent looked for yard signs, 44 percent attended open houses and 30 percent used print newspaper ads—the highest of all segments. Older home shoppers viewed an average of eight homes and spent eight weeks searching, spending two weeks searching on their own before contacting an agent. Eventually, 37 percent found their home through an agent and 24 percent online. More than double any other group—17 percent——found their home from a yard sign. Another 11 percent found it from a friend or neighbor and three percent from a newspaper ad. Almost half said the most difficult step in the process was finding the right property. Getting a mortgage and saving for the down payment were not issues. Once the decision was made, 84 percent purchased through an agent, nine percent directly from a builder and six percent directly from previous owner. Want to learn more about marketing to more generations in the real estate market? Check out this article.